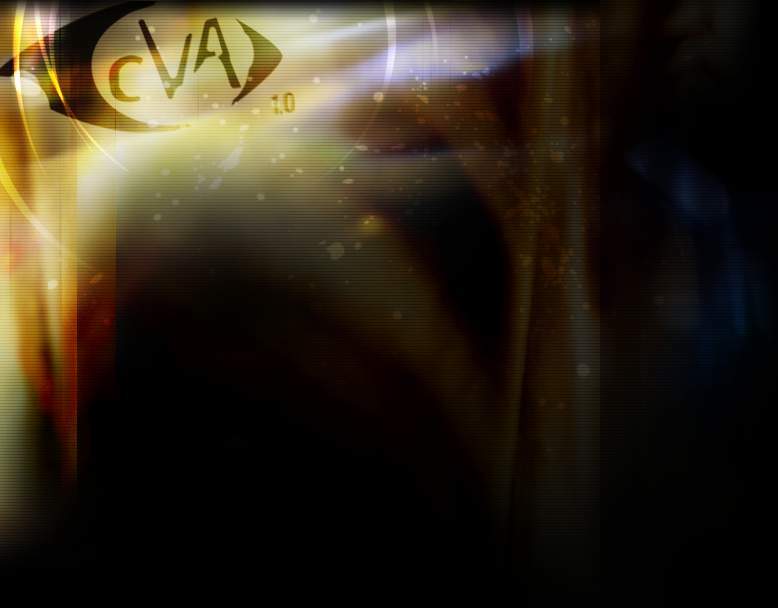 (1) "cVA" stands for "clair Voyance Audience" in French. That means extraordinary vision and hearing capabilities. 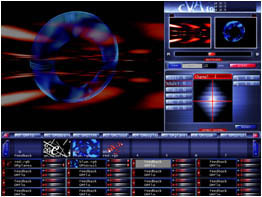 (2) "cVA" is a software to play while creating the "vision beyond music". (3) Various MIDI controllers can control "cVA" to generate visual effects. (4) "cVA" is based on two core technology. "cVA protocol" to control visual effects generationg process. What is the "Vision Beyond Music"? 2. In Music, the sound is recognized by phisical sensory. 3. The Music composition is recognized as mathematical structure. 4. Here, replace the "sound" with "visual", something will be born. That is the "Vision Beyond Music". (c) chikako nitta & genemagic research.